Cortana Digital Assistant is a tool that is seen in Windows Phone Software and also in Windows 10 Operating System of Microsoft. But this exclusiveness won’t last for long with Windows. Microsoft has already announced the development of Cortana applications that is compatible in iOS and Android devices. With this move Cortana is expected to assist the users in almost every platform available with smartphones in the world. Many of the users may think that Microsoft is crazy to provide their exclusive digital assistance to some other users. But in my opinion, with this bold move Microsoft has a clear strategy ahead. The giant tech company will be happy if you purchase a Windows PC and a Windows handset. Since most of the handsets with each user are backed with iOS and Android, Microsoft has developed a group of applications that allows the user to get paired with one’s Windows personal computer. All you have to do is to open up new Phone Companion Application on your Windows 10 personal computer. Then if you have a Windows supported handset, you have to select it. On the contrary if you have an Android or iOS device, then the app will direct you to download applications on your gadget and setting up a link with your own personal computer. This facility ultimately gift you extra storage in the form of OneDrive cloud. This will save your Hard Disk’s space. Photographs, MP3 songs including video songs etc, which is usually stored in device’s hard disks, can be saved in this OneDrive cloud. In addition to these, notes in OneNote are available over your handset or with other devices and this makes the Office Documents available to all devices. The new Cortana application for Android can be downloaded from Google Play Store as well as from Apple’s App Store. Also you won’t need a Windows supported gadget to make it download. Now you can start downloading the app. The app help in performing certain functions those are available in Windows devices. These functions may include browsing over the web, setting up the reminders, tracking a particular file and so on. But the unfortunate thing is that it does not have a system level access on those iOS and Android devices. As a result it cannot perform certain high end functions such as initiating the application from any screen with the help of ‘Hey Cortana’ voice command. Microsoft declared that the promo version of Phone Companion application will be accessible to members of Windows Insider Program within a time frame of few weeks. 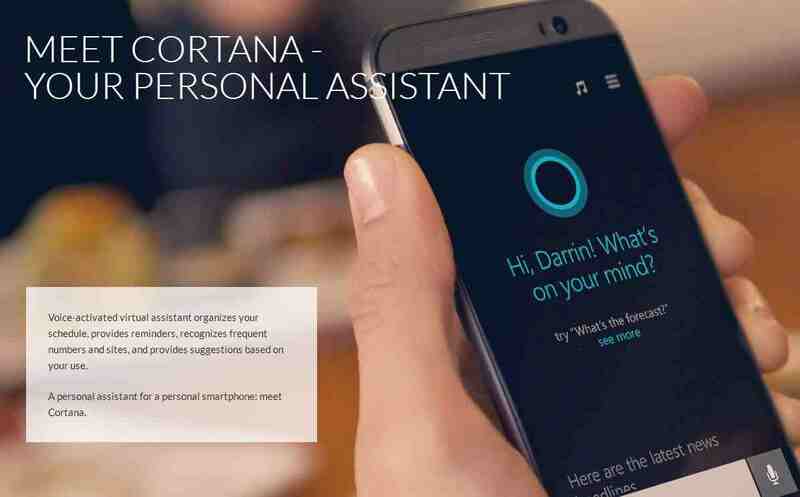 The Cortana Digital Assistance for Android OS will be available by the month of June. It would take time to make this available for iOS users, but the company has promised that the iOS version will be loaded soon.